Enter in the desired frequency and one other parameter and this tool will calulate the remaining fields. 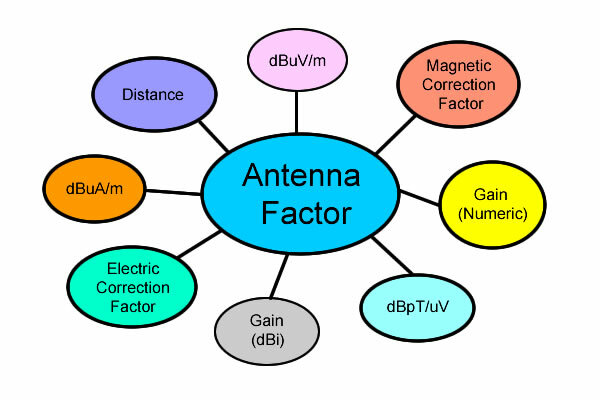 Antenna Factor (or correction factor) is defined as the ratio of the incident Electromagnetic Field to the output voltage from the antenna and the output connector. 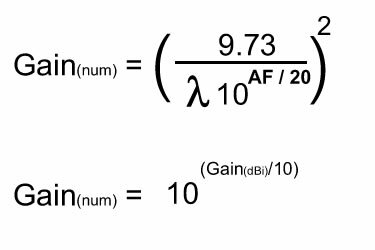 Gain (dBi) The ratio of the signal received or transmitted by a given antenna as compared to an isotropic or dipole antenna. 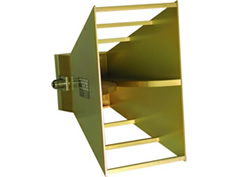 Antenna gain can only be achieved by making an antenna directional, that is, with better performance in one direction than in others. The "How to Use Antenna Factors" application note will explain the "Antenna Factor" concept, how is it created and how is it used..
Our Antenna Factor Calculations and Deviations article will explain the formulas and deviations.